UNC’s Partnerships in Aging Program has been collaborating with the Marian Cheek Jackson Center to create a living-learning home in Chapel Hill’s Northside Neighborhood. 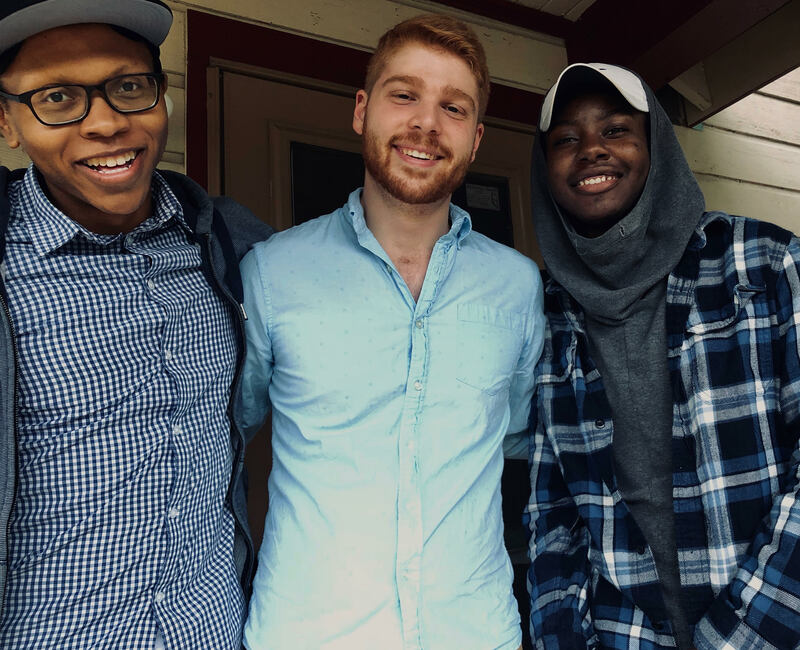 The goal of the living-learning experience, called the Northside Residential Fellowship (NRF) is to create opportunities for UNC students and recent graduates to honor, renew, and build community with their older neighbors while renting in Northside. Through program activities, NRF fellows live, work, and play alongside their neighbors; creating opportunities to build lasting relationships. To understand the importance of participating in this fellowship, one must know the history of the neighborhood. Northside is a historically Black neighborhood in Chapel Hill whose residents live and die by the mandate to “love thy neighbor as thyself.” However, in recent years, Northside has experienced “studentification,” marked by a shift from a predominance of single-family owned homes to a predominance of rental properties shared by college students. This process has in many cases disrupted the sense of community in Northside. Residents express seeing a changing neighborhood that is not “for them,” — one in which social integration and community engagement are threatened. The living-learning household creates a space for young adults to become active members of the Northside community and re-establish a multigenerational space where all residents feel supported. The NRF envisions a neighborhood where the history of Northside is honored and valued. We see a neighborhood where every age is celebrated and supported and where elderhood is viewed as a time for continued adaptation, growth, and contribution. Northside fellows recently hosted their first “Porch Revival Tour Pop-Up.” Photo credit: Adele Henderson. This reflection represents one of the core values of the NRF. We are a community. We are a group of people living together within a greater society. We actively participate in the community. We take the time to learn about each other, our neighborhood, and our neighbors. This is not just where we live, but who we are. Northside fellows are continuing with orientations and have many ideas for future events and relationship building. They plan to visit the Charles House, a model of residential and day care for older adults to receive support services. They are busy planning a multigenerational game night in order to meet more neighbors and become more integrated into the fabric of the community. Although the program is a work in progress, the spirit of neighborhood and reciprocal relationships is felt by the fellows and their neighbors. Northside is starting to feel like home.